We've got great news for you! 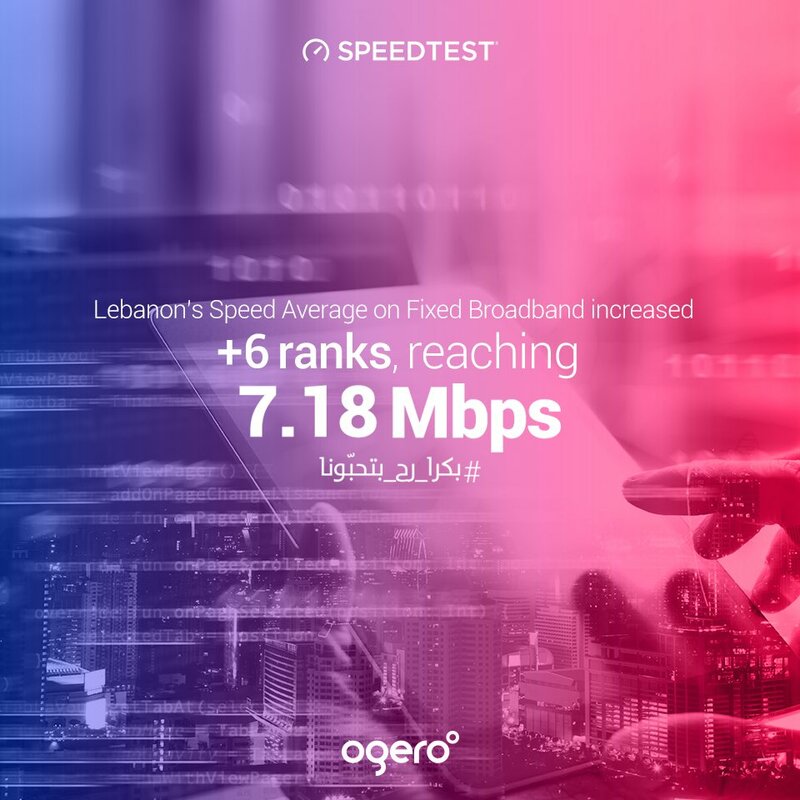 Lebanon just stepped up 6 ranks in the International speed average on fixed broadband. Reaching 7.18 Mbps, we're still moving forward with the deployment plan and working harder than ever to achieve those goals.